Glenn Levine graduated from Queens College with a Bachelor's Degree in Economics in 1978. He obtained his Law Degree from the Southwestern School of Law in 1981 and then went on to obtain his Master’s Degree in Taxation from the Georgetown School of Law in 1982. He has been with Feldman, Kramer & Monaco since 2003. Glenn started his legal career as an associate with the Law Office of Nathan Diamond in Ridgewood, Queens, NY, where he handled Immigration and Family Law cases. In 1985, Glenn became a partner with the Law Firm of DeVagno, Borchert Levine and LaSpina, a general practice firm in Whitestone, Queens, where he continued to handle a caseload of Immigration, Family Law and Criminal Defense matters. In addition Glenn was also responsible for dealing with the firm's administrative issues. In 2002, Glenn started his own firm focusing on Immigration Law and Family Law. In 2008, Glenn became affiliated with the Sephardic Bikur Holim in Brooklyn, NY. As such Glenn meets and assists the local community in Brooklyn with all their Immigration issues and needs. In addition to being a member of the New York State Bar, Glenn is admitted to practice in the Federal Courts in the Eastern and Southern Districts of New York. 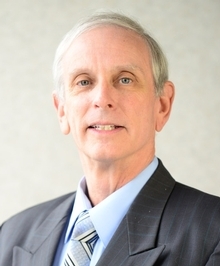 Glenn has also served as an arbitrator in the Small Claims Court in Queens County, New York.